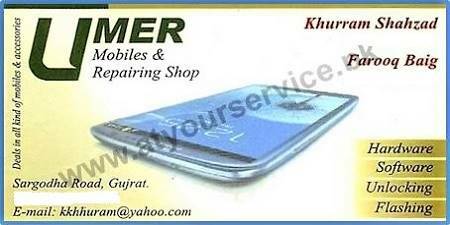 Umer Mobile & Repairing Shop is located in Awan Market, Sargodha Road, Gujrat. We deal in sale, service and repairs of all kind of mobiles and accessories. We also deal in all kind of mobile hardware software, unlocking and flashing.